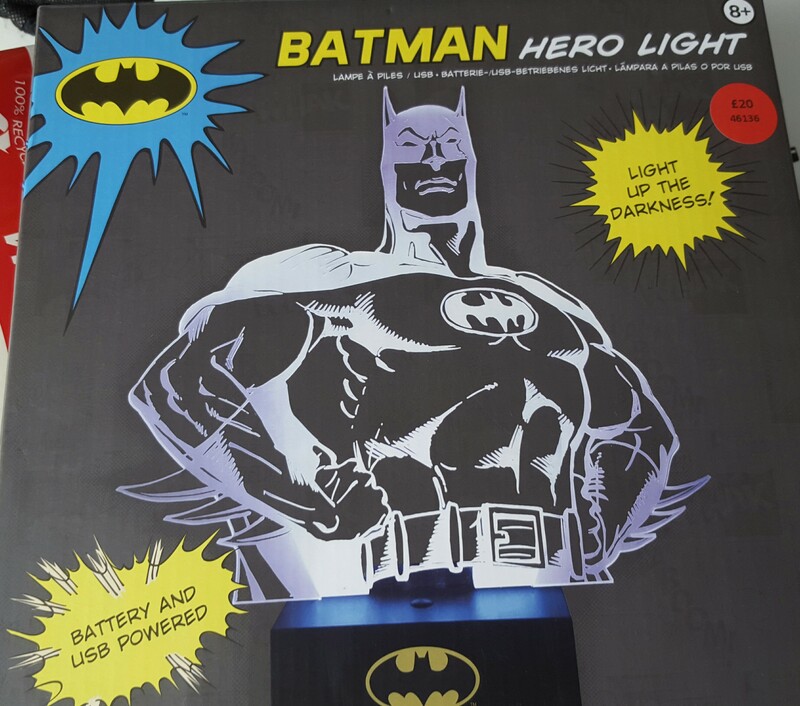 This project is to upgrade a basic looking Batman Lamp and create a WiFi Connected lamp. The original lamp was plain white in colour and not very interesting. The idea was to add a microcontroller with WiFi capabilities and a number of RGB LEDs. This is to be controlled via a MQTT message topic. 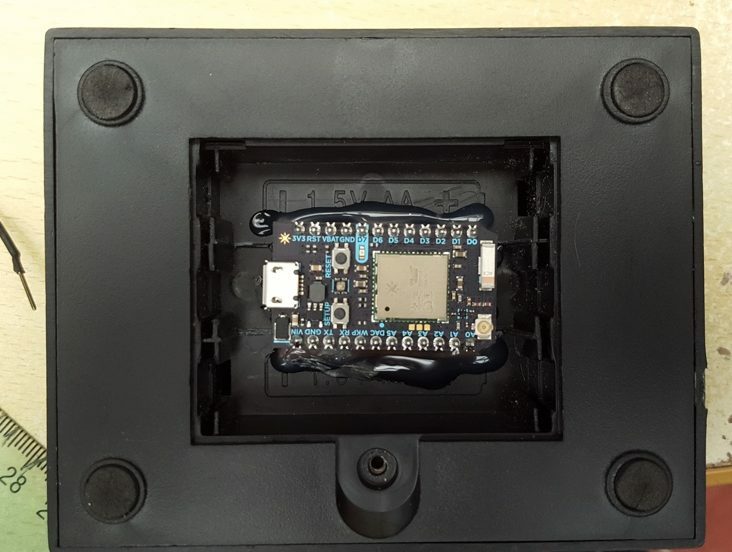 This would then allow There are a number of micros that could have been chosen such as a Raspberry Pi, ESP8266 module, mbed or any of the other Arduino boards and an addon WiFi module. In addition, soldering, drilling and cutting tools are required. 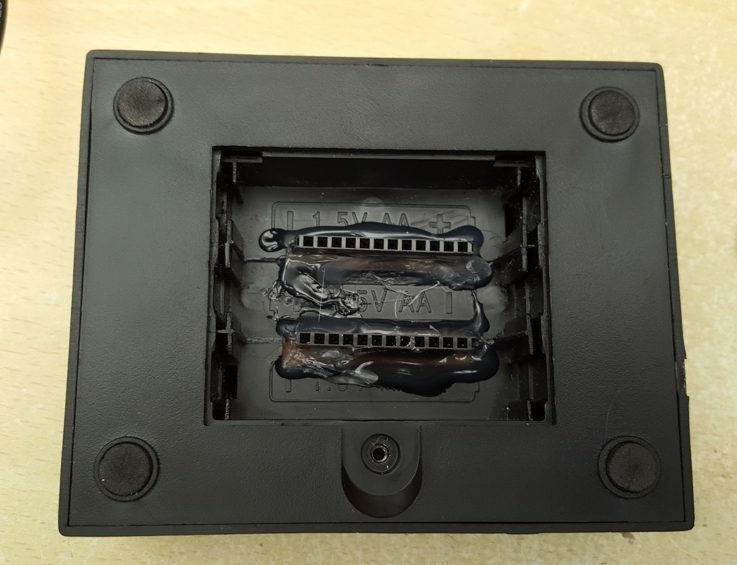 A hot melt glue gun is required to finish the lamp off. 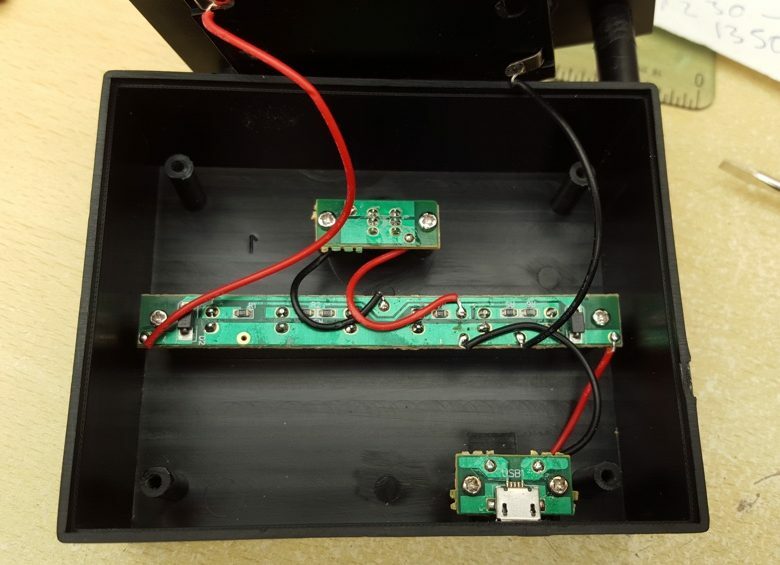 The photos below show the steps involved in upgrading the lamp. The Batman Hero Lamp that is going to be the base for this upgrade. 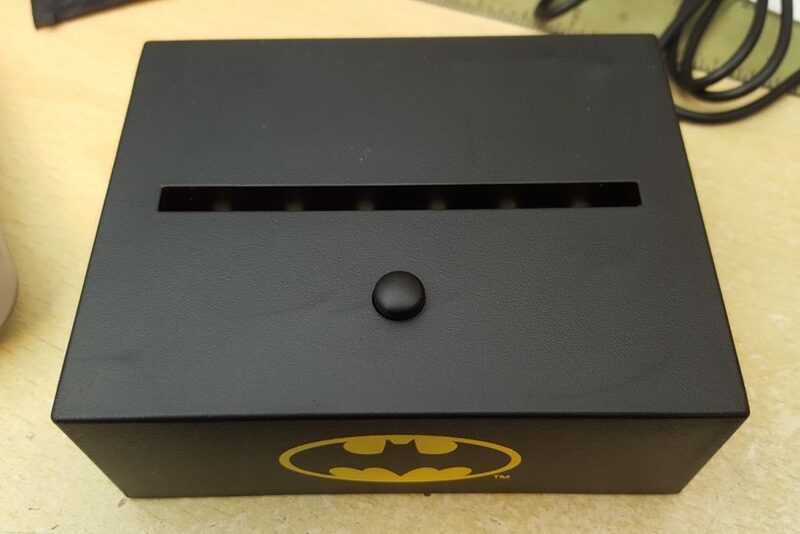 Lamp base includes space for batteries, micro USB power connector, On/Off switch and a row of white LEDs. 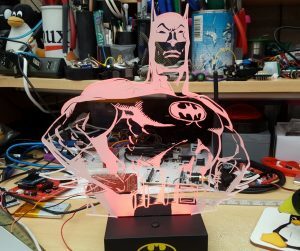 The laser cut and etched Batman is removable, which is handy. 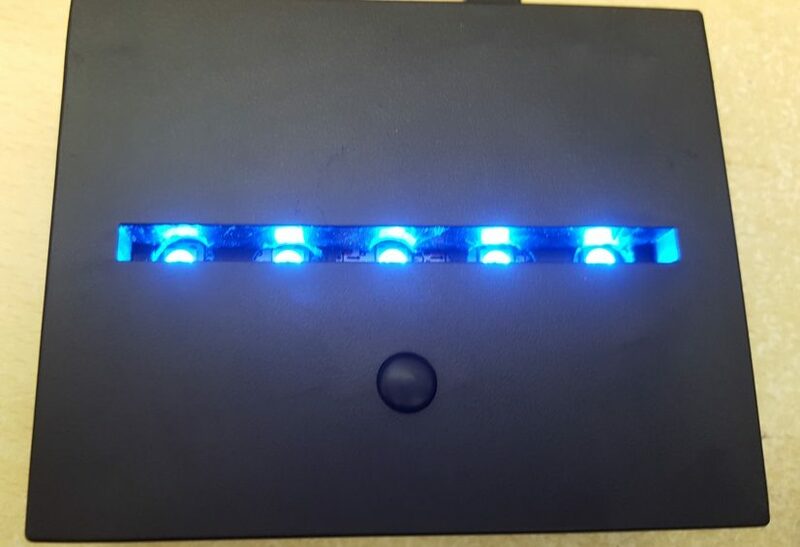 The white LEDs are not very interesting. On the inside there are three small boards, the USB connector, switch and LED strip. 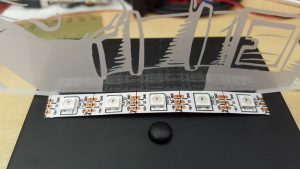 For this project the LED strip is to be replaced. 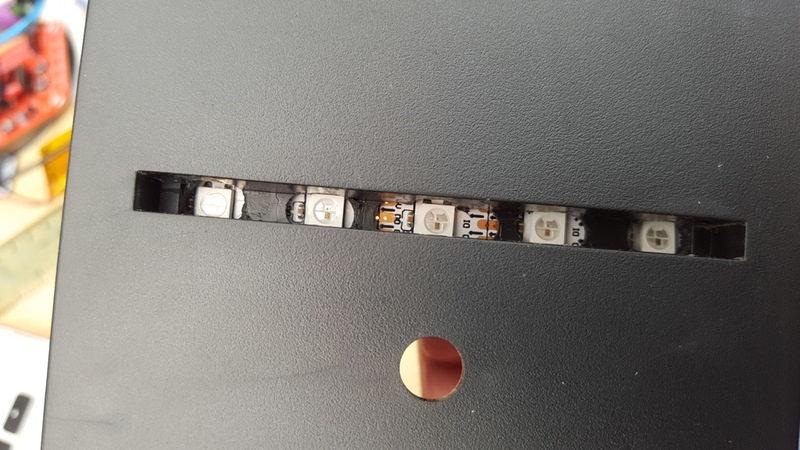 The USB socket and switch are being reused, the LEDs are removed by unsoldering the wires from the switch and USB connector. 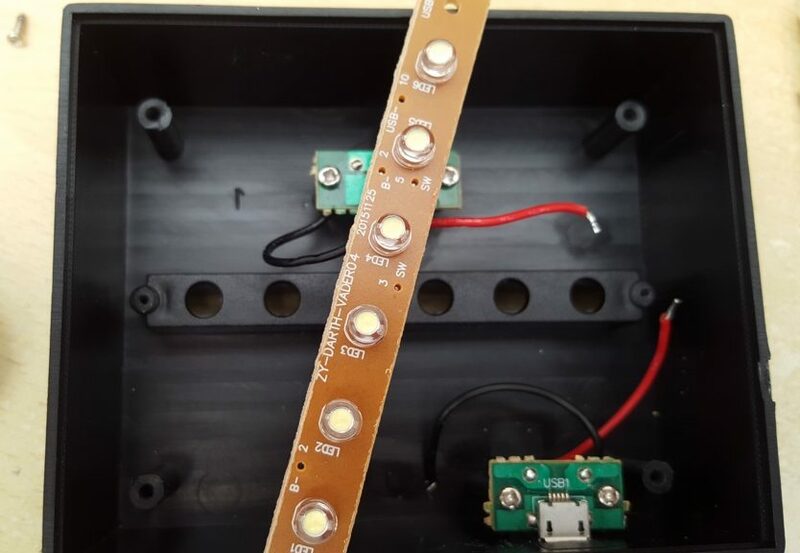 A short NeoPixel strip will be the replacement light source. A strip of 5 Neopixels fit the space perfectly. The holes for the original LEDs were enlarged or re-drilled with a 8mm drill bit in a drill press. A handheld drill can be used but you risk damaging the case if you’re not steady. 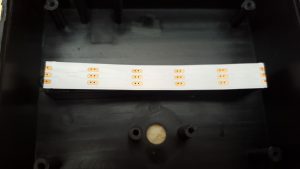 A socket for the Particle Photon is soldered to a piece of stripboard. 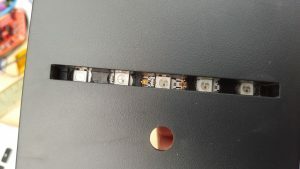 The wires to the Neopixel strip, switch and USB connector are soldered to the stripboard. Two slots are cut into the battery compartment using an electric rotary tool. The can be finished off with a small file. 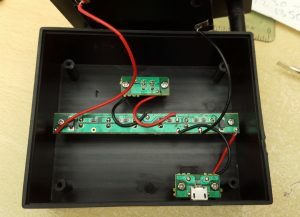 The stripboard is then mounted through slots cut into the base of the battery compartment. Hot melt glue was used to secure the sockets. Once the glue has set, the Particle Photon can be fitted into its sockets. 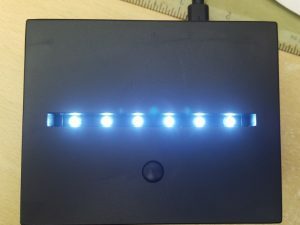 The USB cable should be connected to a suitable power source. Either a dedicated USB power plug, USB hub or a laptop socket can be used. 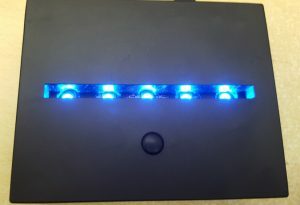 The LEDs should illuminate, first red, then blue and green. Afterwards it should settle on the currently selected Cheerlight colour. The software on the Particle Photon will subscribe to a topic on my local MQTT broker, then whatever colour is published will be used to set the colour of the lamp. Using a simple Node-RED flow, I am able to retrieve the latest Chearlights colour and publish it on the lamps MQTT topic. This then sets the lamp colour.